I decided to go for Objective-C this time leaving Ruby at home for a change. I've never done anything with a C-like language. No Java, no C#, no C++. Wow, it's like Cyrillic. You think you can read it coz you recognise a lot of characters but you actually can't. Anyway, with a few nights of sweating, internetting and cursing, I've managed to come up with a simple app for my friends and me at a diner table. Or in a pub, a classroom, bbq, or even at home be lazy enough to stay put while other ppl are somewhere around the house :). UPDATE: It's live!!! Get the app NEARCHATZ at the iTunes AppStore for iPhone or iPad . Of course you need 2 or more devices to make it happen. Good news ahead ! :) ... We finally made a Mavericks compliant version !!! ... The downside is that we had to lose Snow Leopard but lets face it, if you have SL and a working version of SubtitleReSync(Basic), you don't have a problem with it :) ... For the others who upgraded to Mavericks, this is news. Here :::?SubtitleReSyncBasicBeta ::: you'll find the app you are waiting for to run on Mavericks (and Lion or Mountain Lion). For the time being we're distributing the app through this channel to avoid waiting for the store to accept it. To be honest, meanwhile we're still testing and improving. So, remember, the download is a Beta so it might crash or give some unexpected results but we're confident that in 99% of the cases you will be happy with it. So take care. - well, Mavericks !!! :) ... and the big news is that it still displays AVI movies !!! 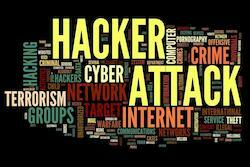 Well, well, well ... unfortunately with the release of the free version of the apps, we attracted a few more hackers to this website as well and to our shame there obviously there was a vulnerability :((( ... We think it has been solved by now but some of you might have experienced some inconvenience. We really apologise for it and hopefully it will never happen again. 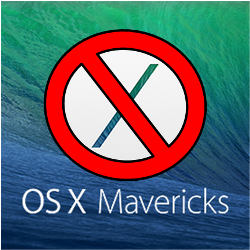 Well, Mavericks has brought us many advantages but unfortunately there are some drawbacks too. SubtitleReSync (Pro and Basic) will not work properly or even start anymore on Mavericks. The cause is still unclear. It's hidden somewhere deep under the OSX-hood. First we thought that the Basic version still worked on Mavericks but sooner or later it will crash too :(. SubtitleReSync is build with Ruby (MacRuby) and somehow now Mavericks fools around with that. Another disappointment is that the Open Source project MacRuby was heavily supported and even funded by Apple but last year Apple stopped that. That means that the "problem solving" MacRuby community is almost non-existing today. We might find a solution shortly but meanwhile we had to take some measures to keep our clients at least slightly happy. So from today we've made SubtitleReSync Pro & Basic a free app for the time being. So if you are just looking for a good tool to edit and resync your subs, go to the Mac AppStore and get SubtitleReSync, Pro or Basic. For free. But beware, they only work on Snow Leopard, Lion and Mountain Lion. UPDATE December 1st: Fortunately there seem to be some light at the end of the tunnel. We now have a version running on Mavericks and the good news is that AVI movies still play in the movie window :D. Maybe you've noticed that Quicktime does not play them anymore because Apple has abandoned their own "old" Quicktime technology. We expect to release the Mavericks compliant app to the store review team in a week or two. Hopefully they'll accept it quickly. - Macbook Air - Snow Leopard - 2 Gb Ram - in fact this is our main development machine to make sure we have compatibility for OSX versions on small machines with either Snow Leopard or Lion. On none of the machines (all running on latest versions of OSX SL or Mountain Lion), and these machines are not the most fast ones, the app is slow. May be only the clean startup with or without a movie takes some additional seconds to load but slower than about 30 seconds is never observed. May be we just have pretty clean machines. As a matter of fact, the opening (or dropping) of a subtitle of about 1500 lines together with a 700Mb DIVX AVI movie over a local network (Gb) from a NAS should not take more than just a few seconds. Larger movies may need some more time but you should experience the same lag while opening the movie with Quicktime because SRS is using Quicktime technology (with preferably Perian) under the hood. If you experience these kind of problems, please drop us an email or write something in the Forum section with some details about what you were trying to do: movie, movie-type, subtitle-type etc.. We hate these kind of complaints and just want to make sure you have the best experience you have spent your money for. UPDATE: extensive testing did not show any performance problem on Snow Leopard or Mountain Lion. So actually, we're starting to believe that this is a false statement coming from our competition or from people with a accidentally bad performing Mac. Until we receive a proper bug-report, we'll ignore this issue for the time being.